The National Park Service has said the fire was likely human caused, but that remains under investigation. 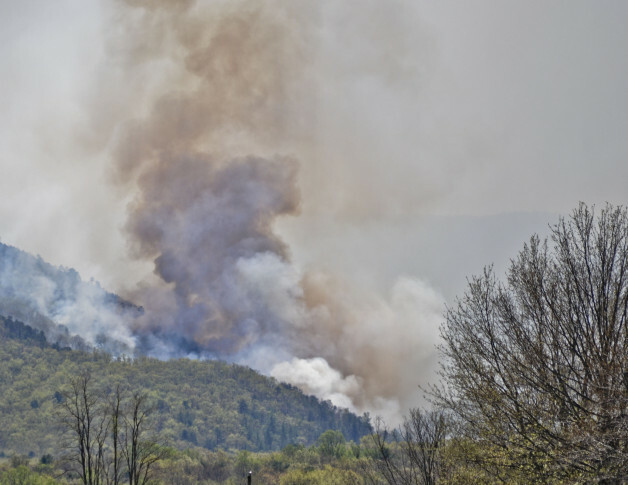 WASHINGTON — A massive wildfire that’s been burning more than a week at Shenandoah National Park has grown to more than 10,000 acres, making it the second-largest fire in the park’s history. It was 75 percent contained on Wednesday; on Thursday morning, authorities said it was 90 percent contained. “Our containment number is going up, which means our confidence in the firebreak that we created around it is increasing every day,” said Barb Stewart, an information officer with the fire response team. Crews anticipate full containment in the coming days. Meanwhile, a stretch of the popular Skyline Drive remains shut down along with a part of the Appalachian Trail and more than a dozen other trails and roads. “We will open trails and that section of Skyline Drive as soon as we safely can,” Stewart said. The National Park Service has said the fire was likely human caused, but that remains under investigation. Flames initially broke out April 16 and spread to 70 acres. The fire has since grown to 10,326 acres, and crews have had a difficult time getting it under control. The largest fire in the park’s history occurred in 2000 and burned through more than 23,000 acres.